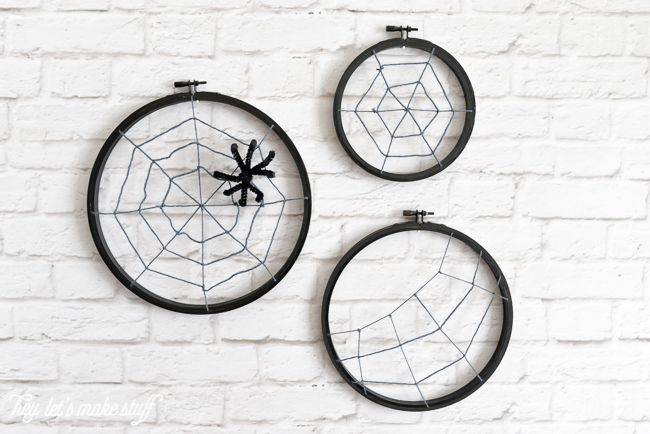 These Spooky Spider Web Hoops are adorable and easy to make with craft supplies you might just have on hand! Hey Night Owlers! 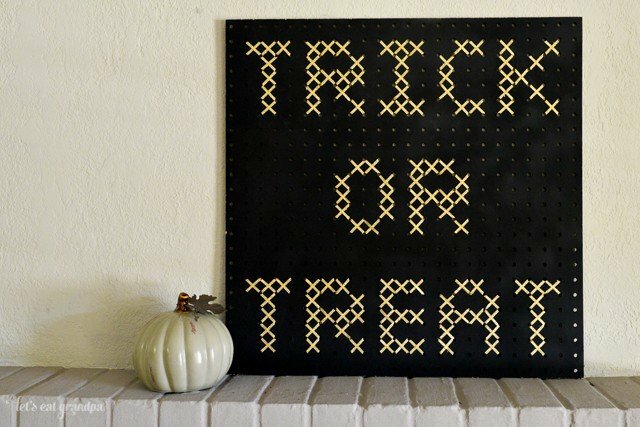 I’m back with a fun Halloween craft. 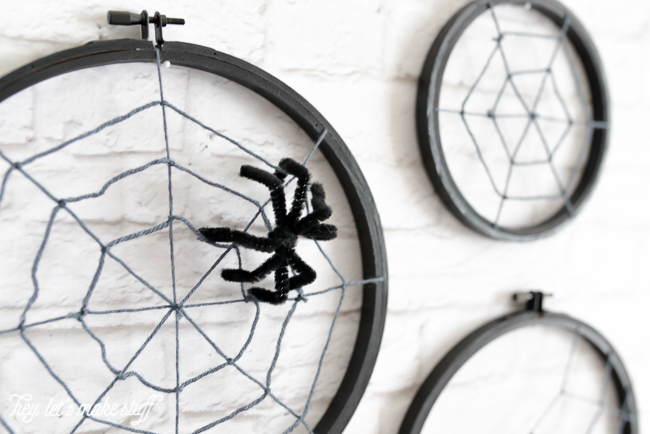 I love crafting with embroidery hoops, so I thought I’d make a few spooky spider webs with some crafting supplies you probably already have hanging out in your craft space. Despite the heat, it looks like I’m going to start decorating for Halloween around here! 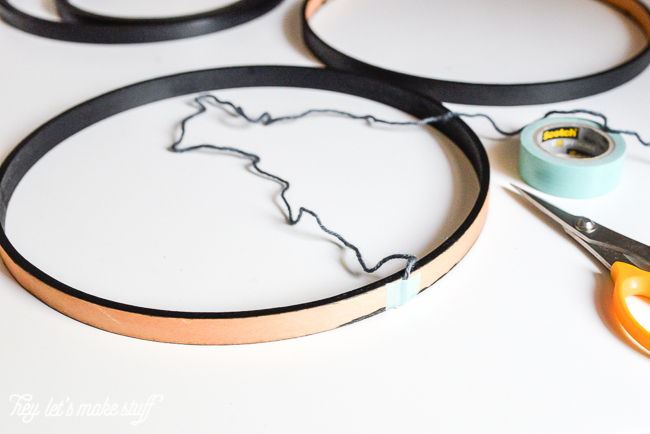 Spray paint your embroidery hoops black and allow to dry completely. 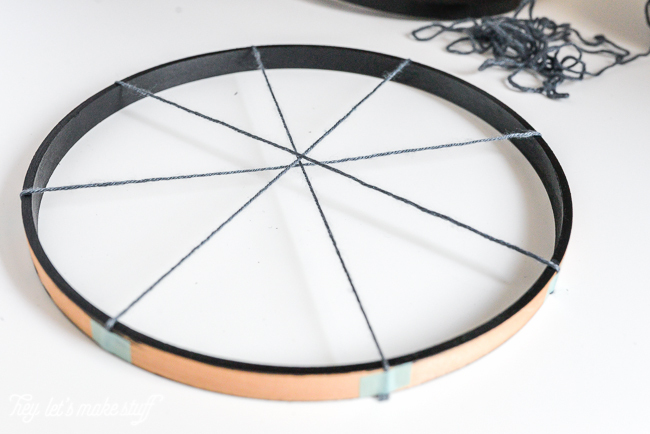 I spray painted mine with black chalk paint without realizing it, but now I love the matte look of the chalk paint with these hoops! 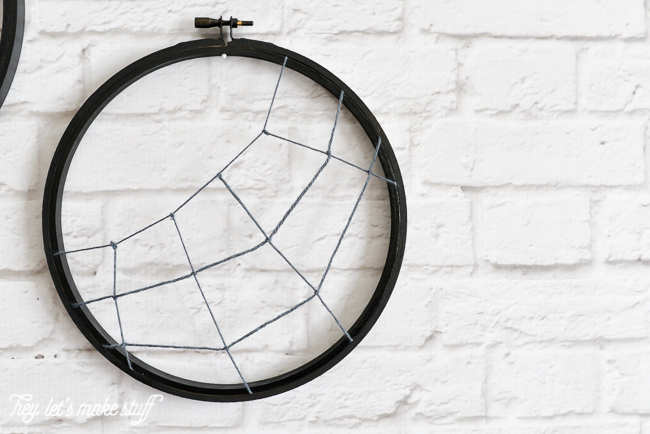 I was going to use hot glue to adhere my yarn to the hoop, but I realized that it would probably keep the outer hoop from sitting properly. So I decided to go with some of my stickier washi tape and it worked perfectly. 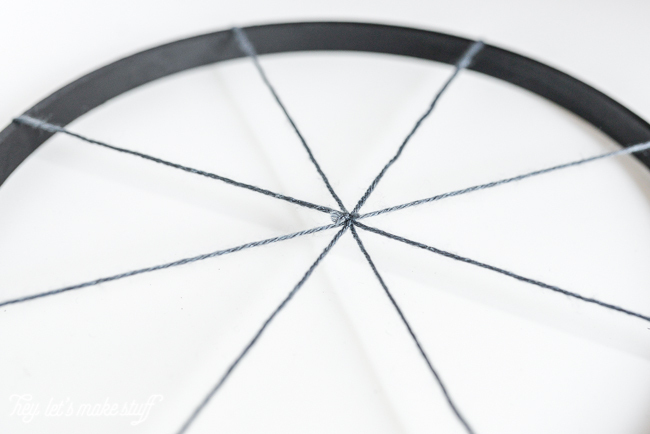 When you put the outer hoop back on, it hides the tape completely and secures the yarn. 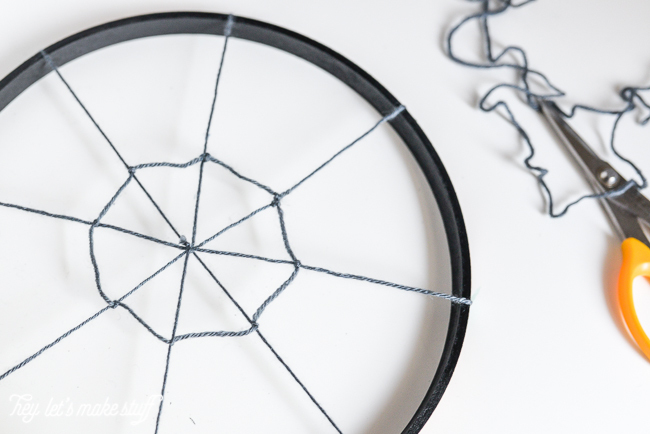 Start by creating the yarn pieces that stretch the diameter of the circle. You can make them pretty tight — I found it easier to work with the yarn when it was stretched tighter. To secure the yarn, knot a small piece around the middle of the whole thing, and trim the ends (not too short, because the knot will come undone). 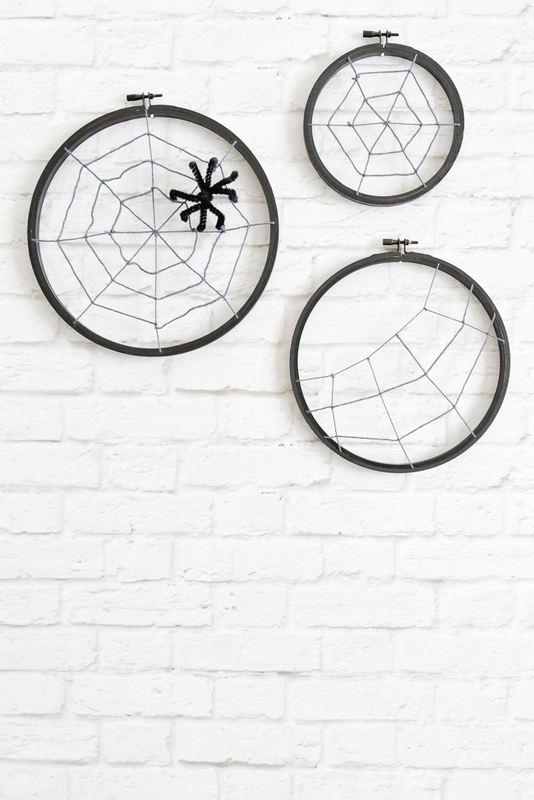 Then start to weave your web. 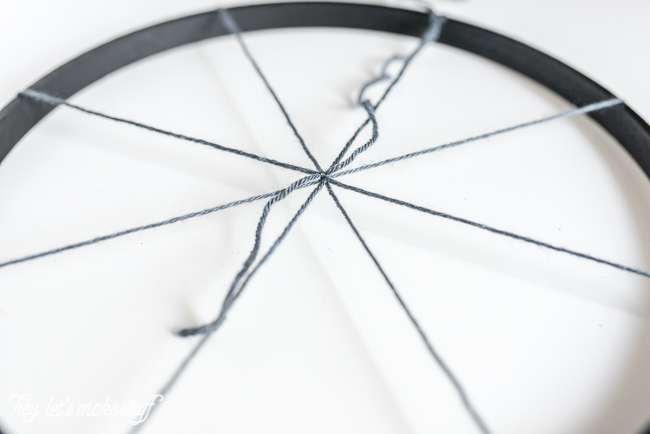 Tie off one end of a piece of yarn, and then work around the circle, tying a square knot at each piece of yarn. I found it worked best when I could get that yarn tight. 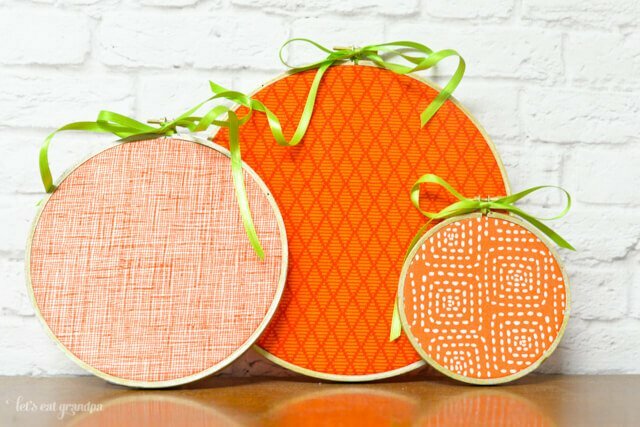 My technique improved as I made more hoops. 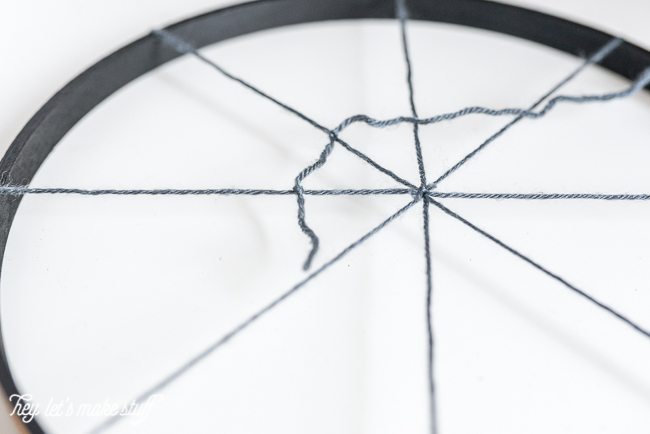 Tie off the yarn once you make it all the way around the circle. Then repeat with another row or rows of yarn, to finish weaving your web. Add the outer hoop back on and tighten. To make a spider, first remember that a spider has eight legs, not six. That means you won’t have to go add more legs to your spider later, like me! Ha! 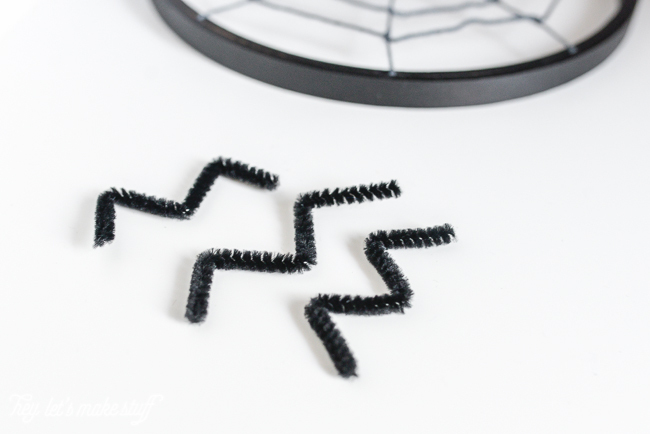 Cut four (not three) 4″ lengths of black pipe cleaner and shape them into “M”s. 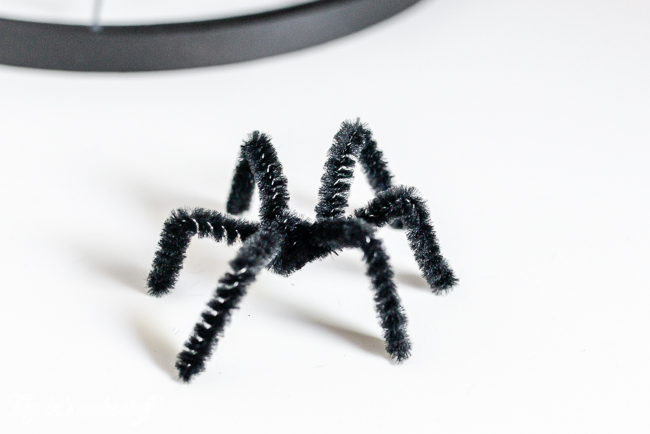 Use another 4″ length of pipe cleaner to secure around the middle of the “M”s and spread out the spider’s legs. Easy! 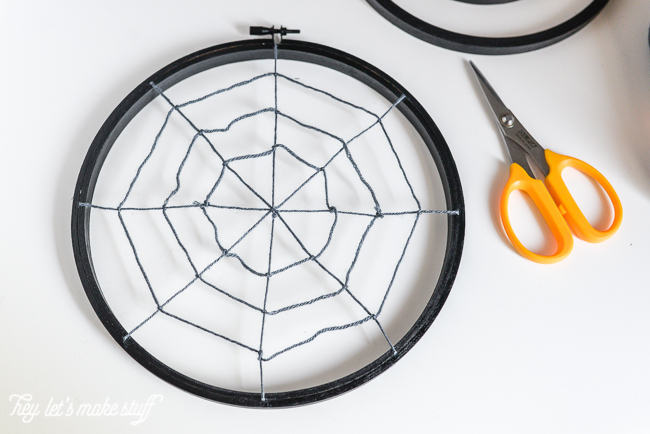 Attach your spider to the hoop by bending one leg to hook over the yarn. You could secure with a little glue if you’d like. My guy just hangs there. 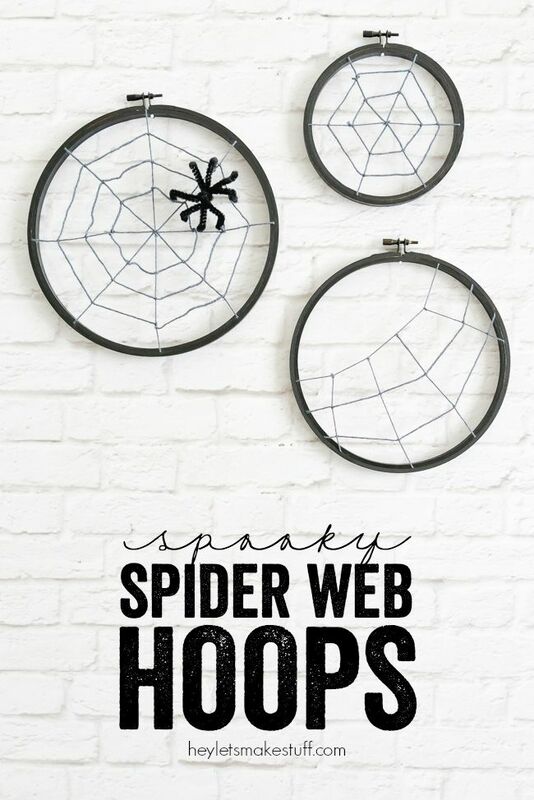 If you have more than one hoop, try out different styles of webs. I particularly like the offset web I made. 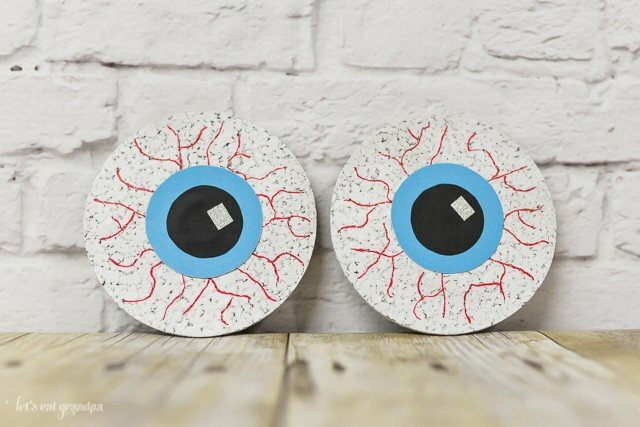 Hope you guys enjoyed this fun and easy Halloween craft. If you have any questions, feel free to ask them in the comments and I’ll try my best to answer them! 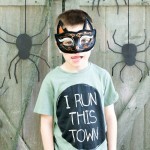 Want more fun Halloween crafts? Here a few of my favorites! OMG this is SOO cute! i’m totally going to make this.. this week! 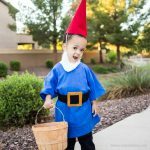 What an adorable idea!! 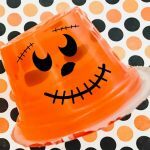 Pinned to share in my Fall/Halloween board.